The Wonderful Amy is inspired by 1930s design and Amy’s love for both flying and fashion. Her plane is flying towards a stained glass sun leaving behind it a trail of fabric and flags, representing the countries she flew to. 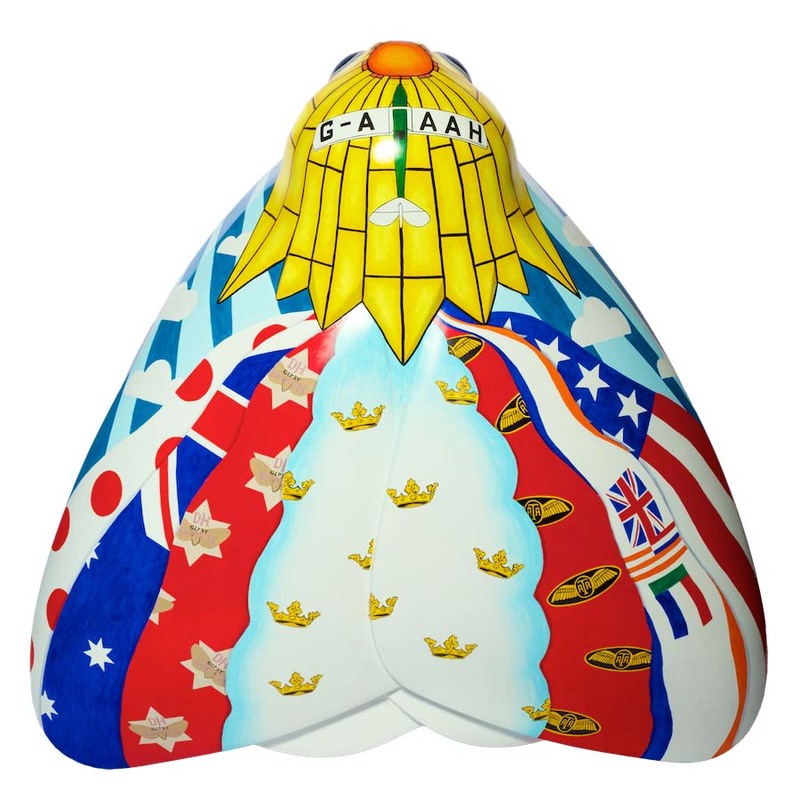 The logos of the Gipsy Moth, the ATA and Hull’s coat of arms can also be seen in the design. The artist has also featured a fish pattern originally seen in fabric, reminiscent of the 1930s to represent the oceans and the fish merchant business run by Amy’s family. Carolyn Short graduated in 2000 with a degree in illustration. Since university she has worked as a community artist, working with schools and local art providers. Her work is mainly 3D and mixed media based. In 2015 she designed and painted two barons for Lincoln’s Barons’ Charter Trail. Carolyn lives in Stallingborough near Grimsby with her cockapoo, Bingo. Williamsons Solicitors is a highly regarded law firm with branches covering East Yorkshire with its headquarters based in Hull. Established in 1890 the firm has developed its practice in numerous areas of expertise. The company has recently celebrated its 125th anniversary, using the occasion to raise money for local charities including Dove House Hospice and Preston Road Women’s Centre.